Around The World IGT Video Slot Review - Casino Answers! Around The World is a 5-reel, 20-line video slot developed by WagerWorks, featuring a wild symbol, a wild multiplier, scatter wins and a bonus game. You can play the Around The World video slot at Bovada. The Around the World casino game is a nickel slot. Bets on the Around the World slot machine are $0.05, $0.10, $0.20, $0.50, $1, $2, $3, $4, $5, $6, $7, $8, $9, $10, $15, $20, $25, $30, $40, $50, $75, $100, $150, $200, $250, $300, $350, $400, $450, $500, $750 and $1000 per line. Select your bet with the “Select Lines,” “Select 20 Lines,” “Stake Down” and “Stake Up” buttons. Despite the large potential bets per line, the Around the World video slot has an excellent betting range of up to $1000 per spin. To play the Around the World video slot, press the “Play” button to spin the reels. The top-paying symbol on the Around the World online slot is the World Traveler symbol. When 5 World Traveler symbols appear on a selected payline, you will win the 10,000 coin top jackpot. The second highest paying symbol is the Logo symbol, which can pay out up to 5000 coins. Both symbols are wild and will substitute for all other symbols except other wilds, scatter and bonus symbols. When the World Traveler symbol substitutes in a winning combination, it will act as a 2X multiplier and double your winnings. Win big using these symbols when you play the Around the World slot machine at Bovada! The Compass is scattered on Around the World. 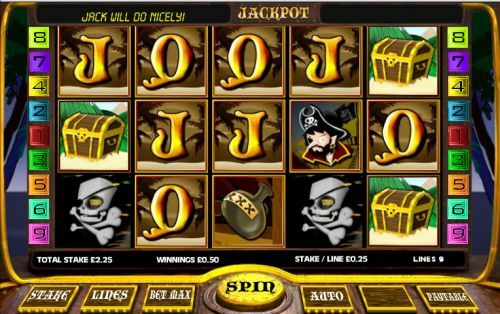 You can get a scatter win by hitting just three Scattered Compass symbols anywhere on the reels or win up to 800X your total bet! Each Compass symbol that points north will give a cumulative win multiplier of 2X. Up to 5 Compass scatter symbols pointing north will pay up to 32X your scatter win. Scatter wins are multiplied by the total bet for all lines. Only the highest current win is paid per selected payline. All wins pay left to right, except for scatter wins (which pay any). All wins are multiplied by the bet per line, except for scatters. Scatter wins are multiplied by the total bet and added to payline wins. Around the World has a simplistic autoplay feature. You can select 10, 15, 20 or 25 autoplay spins. To start Around the World’s autoplay mode, select your number of spins and your bet then press the “Play” button. You can stop the Around the World autoplay mode by pressing the “Stop Auto Bet” button. The Around the World video slot is a perfect video slot for the travel addicts out there who have it on their Bucket List to see as much of the world as possible. The Around the World video slot offers a great top payout, a unique (and very beneficial) scatter win feature and a bonus game. You can travel the world by playing the Around the World slot game at Bovada! Can USA players play the Around the World slot game for real money? No, American players cannot play the Around the World fruit machine for real money. For a USA-friendly video slot of the same name and theme, you can play the Around the World Wagerlogic video slot at [Americans: Unfortunately due to legal restrictions you are unable to play at any of the online casinos this game is at. 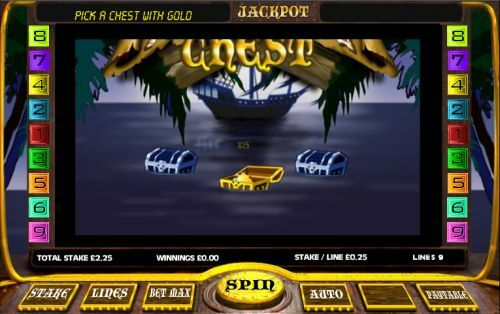 We recommend you trying playing the unique slots at Win A Day Casino instead.]. Do I need to download any casino software to play the Around the World slot game? No, you can play a Around the World flash game without downloading any casino software at Bovada. You can play for free or real money. If you have any issues with the Around the World flash game, download the newest version of Adobe Flash Player.